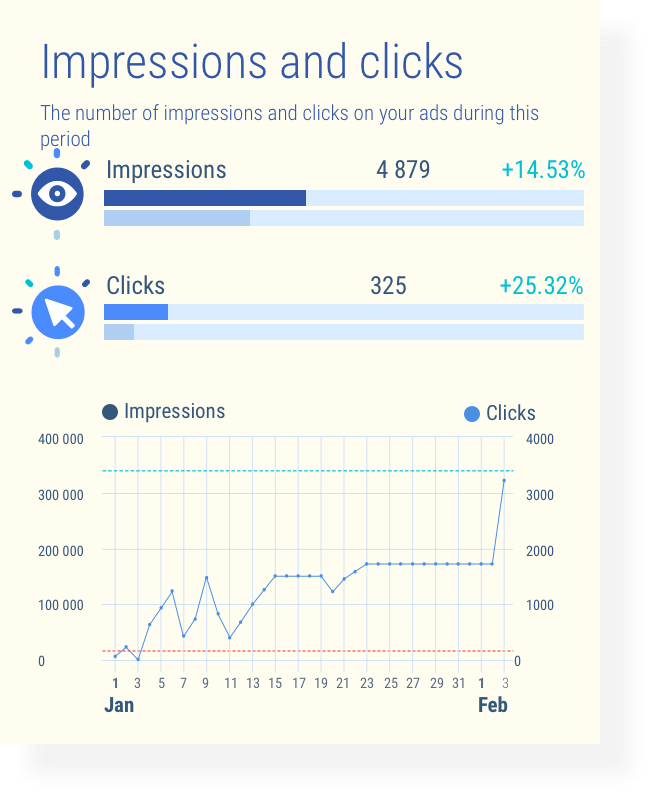 Automatically generate visual & simple to read LinkedIn Ads reports that will engage your clients and team. 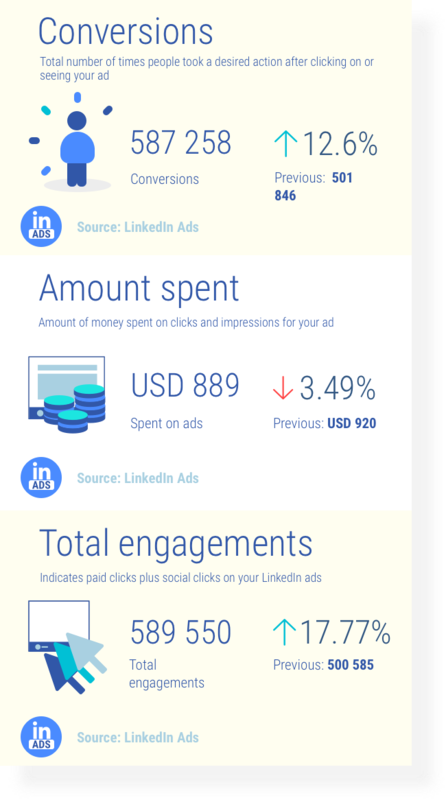 Check your LinkedIn Ads Conversions and Amount of money spent on ads. Compare it to the previous period and track the difference. 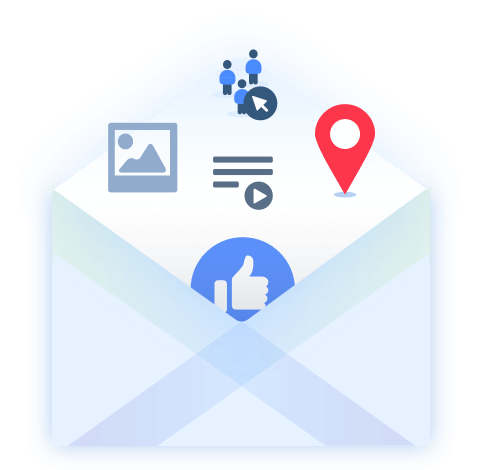 Track engagement and interaction driven by your content. Use visual report templates to delight your team and clients. 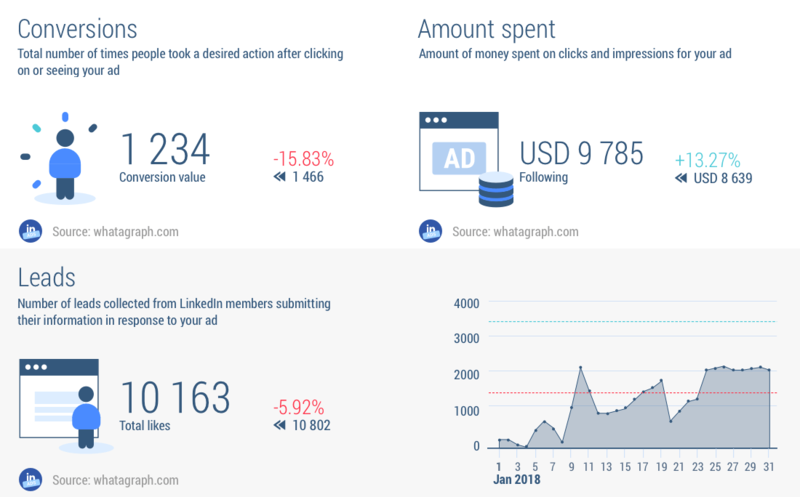 Check impressions and link clicks on your LinkedIn ads during any date period, and optimize your ads accordingly. Review best performing posts to find what content works best for your audience. 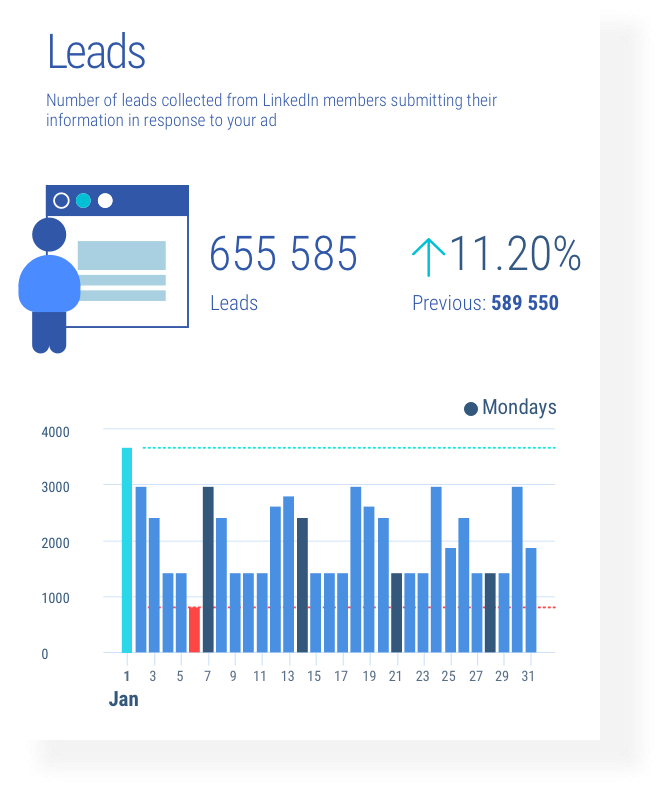 Track and compare the number of leads collected when LinkedIn members submit their information in response to your ad. 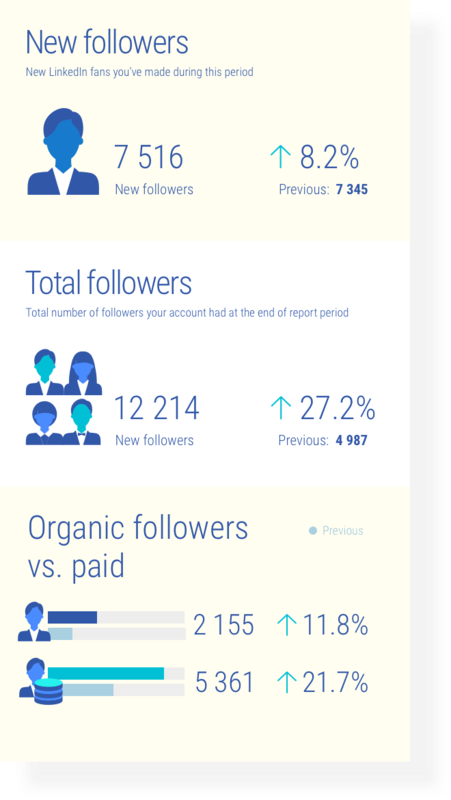 Set up automated LinkedIn reports for weekly, monthly and yearly performance - or as frequently as you need. 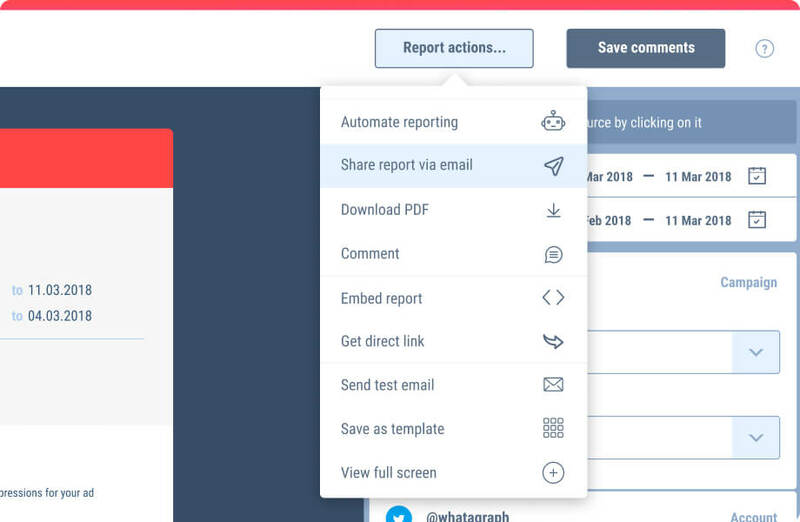 Download PDFs or instantly share reports from your dashboard. It was the first time that the entire team got interested in statistics from Google Analytics and Facebook. This is a powerful communication tool to send to anyone in the company and get instant constructive feedback. 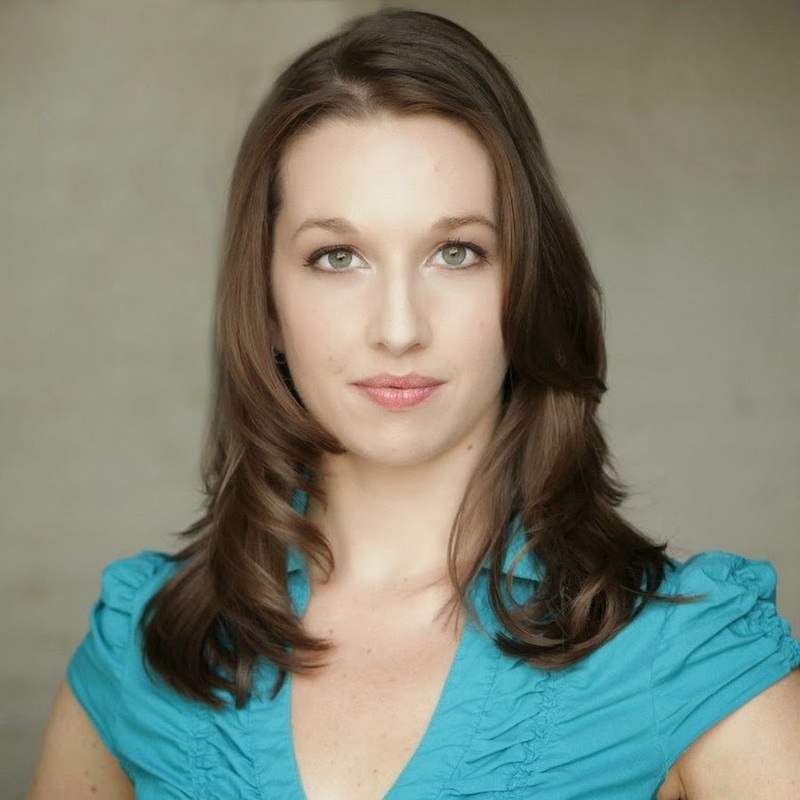 We asked out clients what they thought of the reports and they loved them!. They could understand the infographic style reporting with explanations better than graphs from Google analytics. 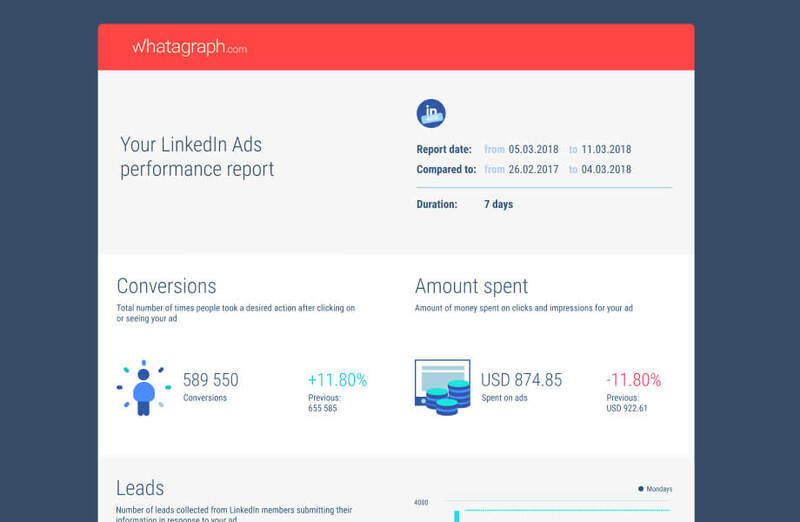 As a full service digital agency we use Whatagraph to send weekly and monthly reports to our clients. 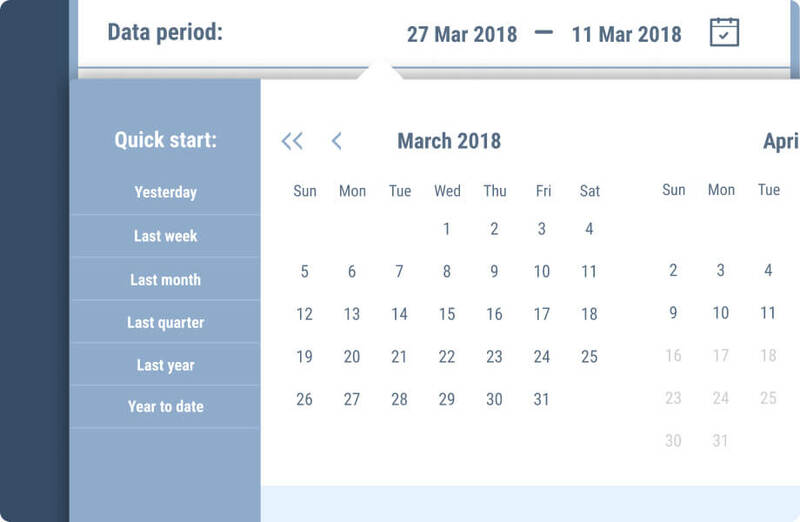 It's quick and easy to pull data from the platform if a client or internal staff members want an update. Last week, all of the reports went out perfectly while I was actually sitting on a beach. It was awesome.